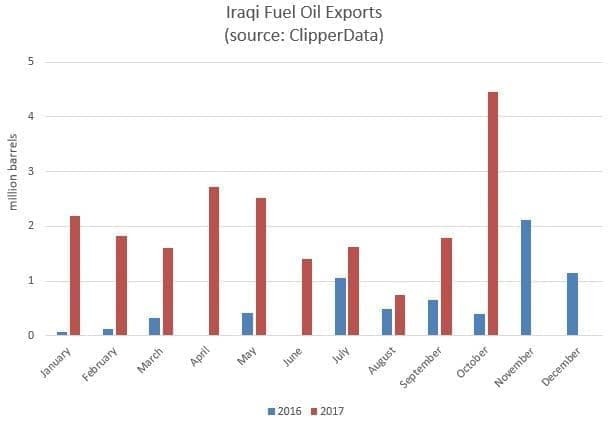 Another fascinating development since the OPEC production cut deal started has been that Iraq has dramatically increased its exports of fuel oil. As the chart below illustrates, fuel oil exports have outpaced year-ago levels in every month this year. There are two scenarios which could explain this sudden ramp up in fuel oil exports. One scenario is that Iraq is processing more crude through its refineries, and is optimizing fuel oil exports. 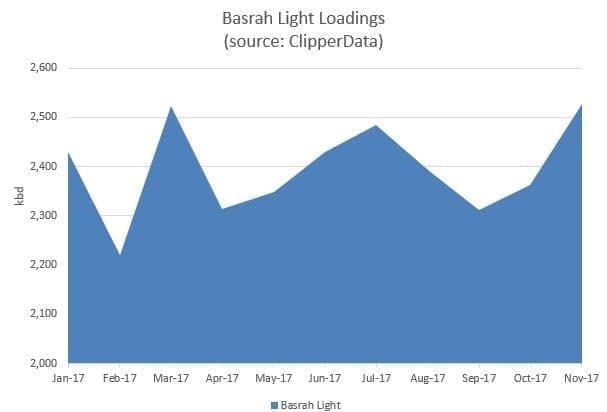 Another scenario is that Iraq has stopped blending fuel oil into its crude exports, to minimize the volume of exported crude, to appear more in line with the OPEC production cut deal. 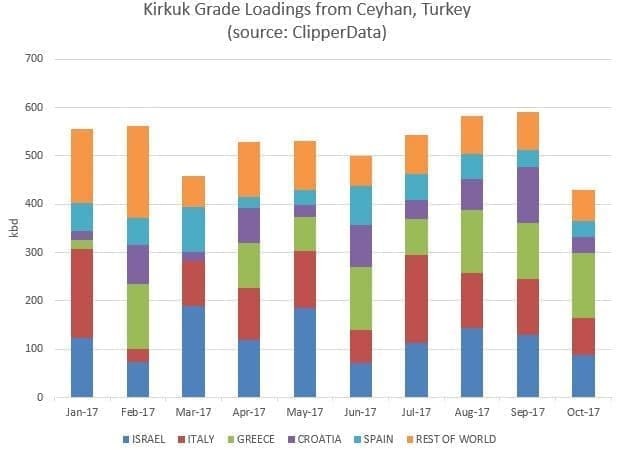 They have wiggle room to export more crude. According to the IEA, Iraq blended an average of 150,000 bpd of heavy fuel oil into exported crude oil in 2011. Three-quarters of the way through 2017, and Iraqi fuel oil exports this year are already three times more than last year's total.